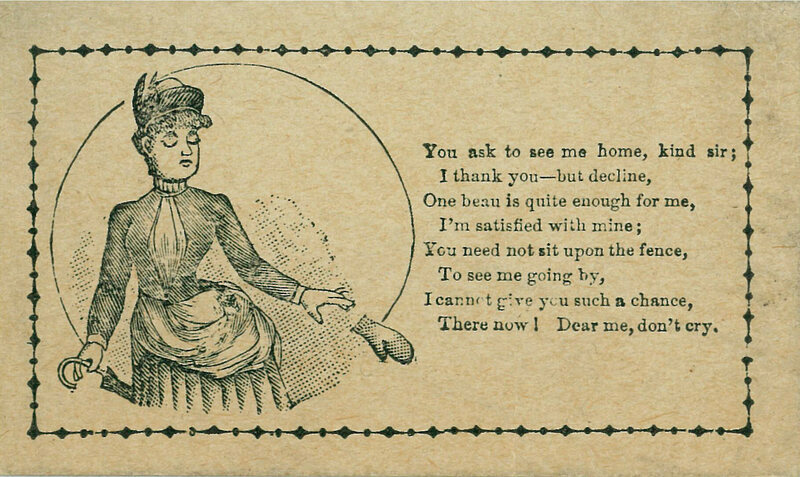 Vinegar #Valentines – Imagine Classic Literary Characters living in the Modern World. Read Jane Eyre Gets Real, a Novel by Annabelle Troy, available on Amazon! Jane Eyre may have received one–if not from Mr. Rochester than from her horrid cousins. 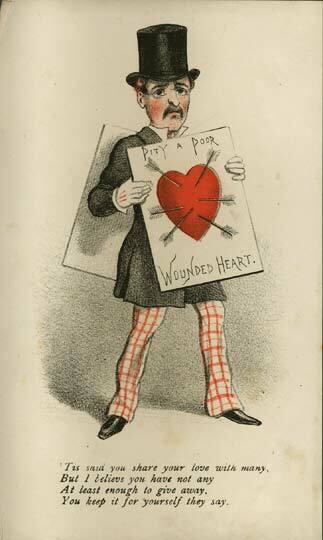 Called “vinegar valentines” or “penny dreadfuls”, these alternative Valentine’s Day cards were mailed to people of whom you disapproved, reminding them of their flaws and/or rejecting their love. 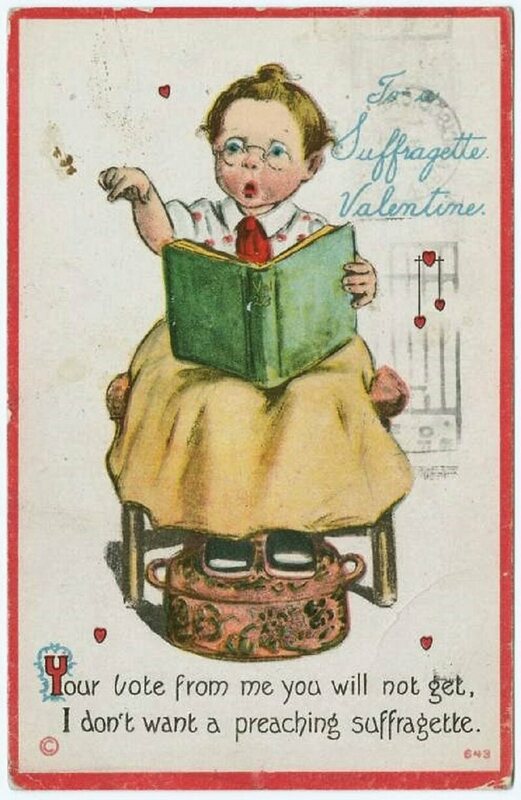 Starting to appear in the 1840s and continuing well into the 1970s, they became as popular as the “real” penny Valentines being sent left and right on February 14th. 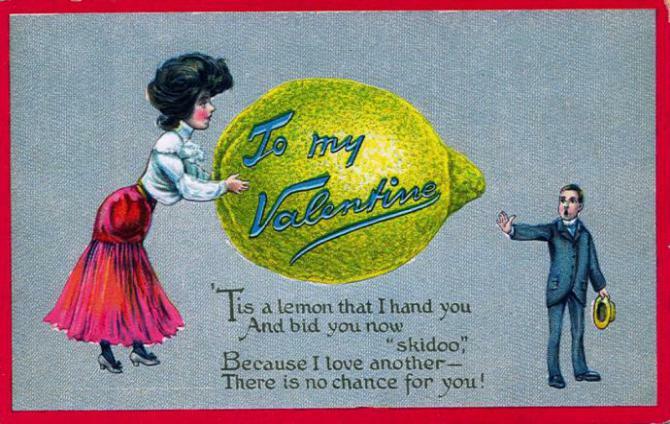 Well before the Internet, these comically cruel cards were a reminder that human nature demands the sour with the sweet. Like the messages of today’s internet trolls, they were sent anonymously and, to make matters worse, with postage due. At any rate, this February 14th be sure to open all packages with care. The characters of Jane Eyre Gets Real wish you the happiest of Valentine’s Days. So enjoyed this post! I read the Valentine’s aloud to my husband and we both got a good laugh out of them! Thanks!